Help us keep the process towards an environmental top level domain (.eco) moving forward! ICANN, the organization in charge of approving and assigning top level domains, is accepting public comment on a potential plan to accept “Expressions of Interest” (EOI). This would give companies such as Dot Eco TLD the opportunity to tell ICANN that we want to create an environmental top level domain. EOI will help ICANN prepare for the new TLD applications process by providing useful information about the potential applicants. EOI will help ICANN determine how many organizations, companies and countries plan to apply for their own TLD. EOI will bring transparency to the pre-application process. This is important for everyone who is considering applying for a new top level domain! Require a fee to discourage companies from “gaming the system” and ensuring that only applicants that are serious participate. Have a specified timeframe to reach out and make sure that potential applicants are aware of the process. Have a limited timeframe that does not allow the EOI process to unduly delay the application period. Be a pre-requisite for applying for top level domain. ICANN is accepting comments on whether or not to proceed with Expressions of Interest. Let them know that they should move to accept EOI! Be sure to let ICANN know your reasons for supporting the EOI. This will help the Board to make an informed decision. Click here for information about how to submit your comment to ICANN. Your actions now can help move us forward towards the creation of an environmental domain. The New York Times Green Inc. blog reports on Apple’s resignation from the United States Chamber of Commerce over climate policy. Apple objects to the chamber’s recent comments opposing the E.P.A.’s effort to limit greenhouse gases. Catherine A. Novelli, the vice president of worldwide government affairs at Apple, wrote a letter addressed to Thomas J. Donohue, president and chief executive of the United States Chamber of Commerce announcing Apple’s resignation. You can view the letter here. Apple isn’t alone in disagreeing with the chamber – three large utilities have resigned in recent weeks, and Nike withdrew from the chamber board, all for the same reason. The Huffington Post released an interesting article dated yesterday that has received quite a bit of attention. Project Kaisei will examine the largest area of the Plastic Vortex, an ocean gyre, situated to the North East of Hawaii, and approximately five days by boat from the United States (San Francisco area). The expedition will consist of a large pass through the Plastic Vortex, with the aim to collect and study plastic and other debris forms from the ocean in order to showcase some of the new technologies that will be used for processing and recycling. Folow the Kaisei and New Horizon vessels as they sail to the Plastic Vortex. 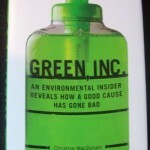 I hesitate to mention the newly released book “Green Inc” on this blog, because the book makes some scathing accusations on the Environmental industry as a whole, and in general, I disagree with much of the tone (and implications) of the book. However, the author is certainly very credible, and the book is getting considerable play in the news media, so I thought I would make a few comments. Unfortunately, it appears that coal interests (Australia is the #1 producer) have won yet again. 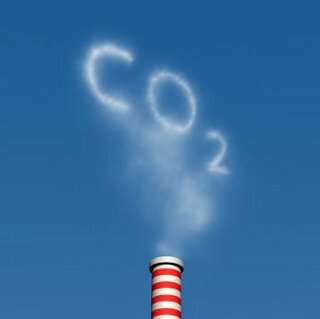 An ambitious bill was defeated by the Australian Parliament which would have cut greenhouse gas emissions by 25% in 10 years. Not only this is a sad precedent for Australia (which has been virtually untouched by the recession, thanks to high commodity prices), it illustrates the scale of the battle we are up against. Big money, scares of job losses and special interest lobbying could very well defeat Cap and Trade in the US senate.